Even if you cannot have gluten, you can still enjoy delicious pancakes! My quick & tasty gluten-free version uses mashed banana and an egg to create a sweet, satisfying pancake. It is yummy and good for you. RecipeSavants.com Even if you cannot have gluten, you can still enjoy delicious pancakes! My quick & tasty gluten-free version uses mashed banana and an egg to create a sweet, satisfying pancake. It is yummy and good for you. 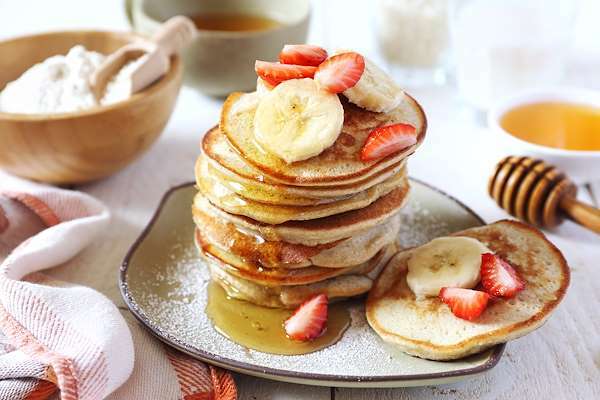 Smart Recipes, American Recipes, Eggs Recipes, Recipes Eggs American 5 Minute Gluten Free Pancake PT10M Serves 1 Ingredients: 2 Large Eggs 1 Large Banana In a medium bowl, combine banana and eggs. Spray a sauté pan with a thin layer of cooking spray. 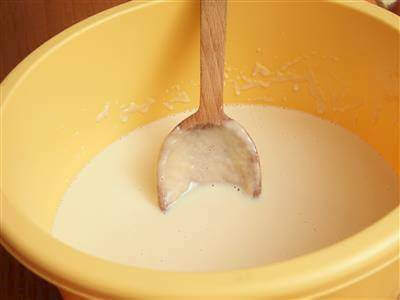 Ladle a scoop of batter into the heated pan, and cook for about 30 seconds. Flip, and cook for another 30 seconds. Serve with pancake syrup or honey if desired. Feel free to double the recipe to cook 2 pancakes. If you enjoyed this easy pancake recipe, you'll love these fresh ideas! This basic crepe batter is both simple yet delicious. It is a perfect vehicle for either sweet or savory fillings and toppings. Here is another traditional Shavuot recipe that hails from Hungary. 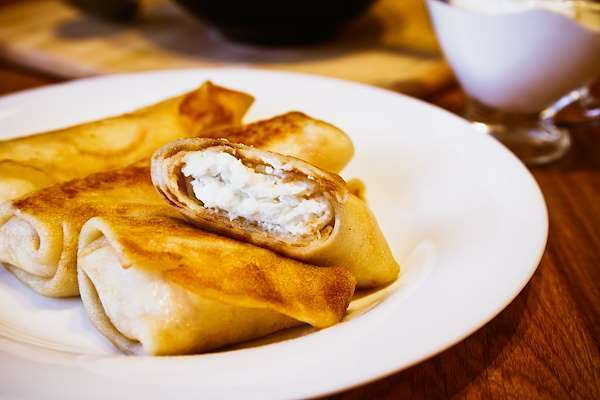 These pancakes resemble crapes with a cream cheese and raisin filling. After they are stuffed, the blintzes are buttered and baked in the oven. Serve them hot with a dusting of powdered sugar, cinnamon, and sour cream for dipping. 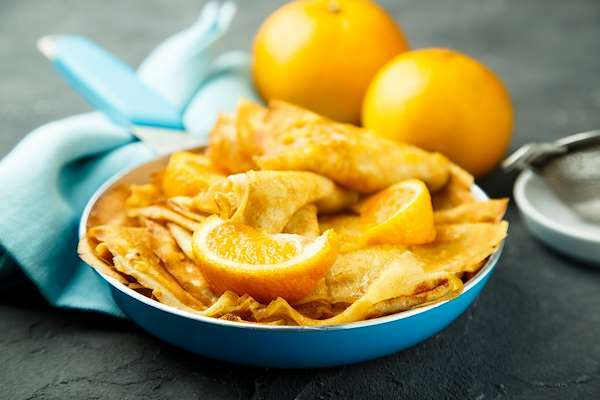 Crepes Suzettes is an iconic dish of paper-thin pancakes that are broiled with a zesty orange butter. After preparing the crepes, spread them with the orange butter and fold them into triangles, and broil until lightly caramelized. They are a favorite dish of mine for breakfast or brunch.